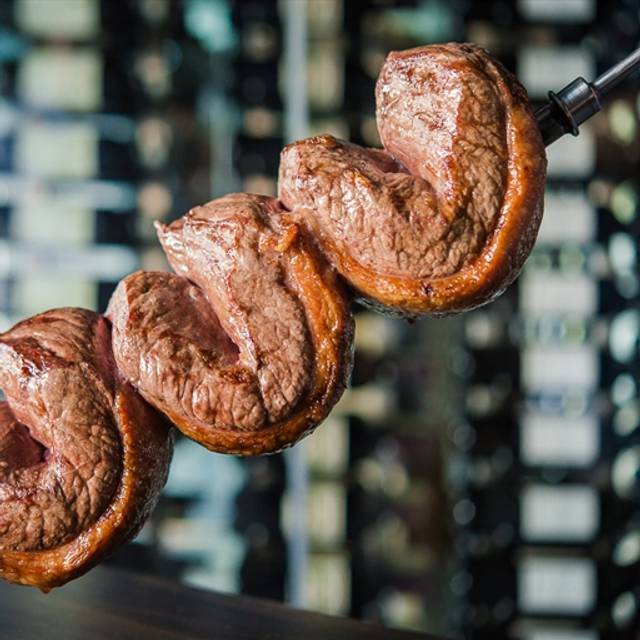 You must make reservations at least 5 minutes in advance of the time at Pampa Brazilian Steakhouse Edmonton Downtown. Complimentary parking is available Monday to Friday (6:00pm - close), and all day Saturday and Sunday. Guests can access the parkade through the back alley located East of the building. Pull up to the door and it will automatically open. Park your vehicle anywhere in the first level. To exit, go up the ramp and the door will open automatically. Edmonton LRT (Light Rail Transit) station Grandin is a half-block south of PAMPA. 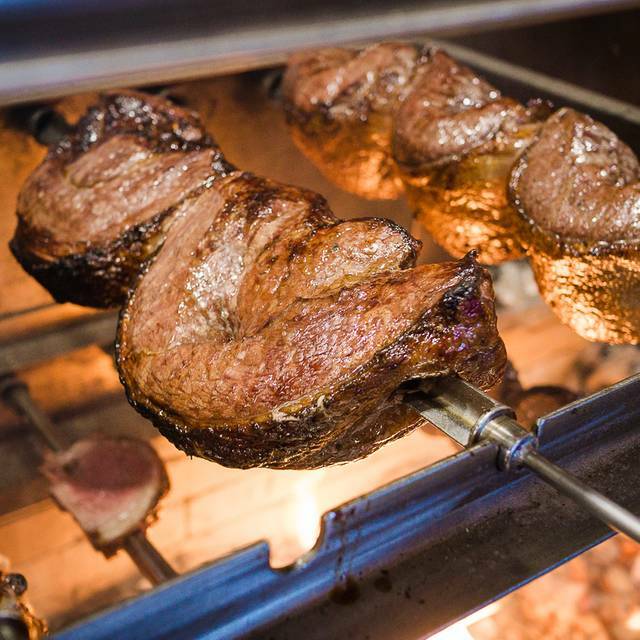 Pampa is proud to be a truly authentic Southern Brazilian Steakhouse. 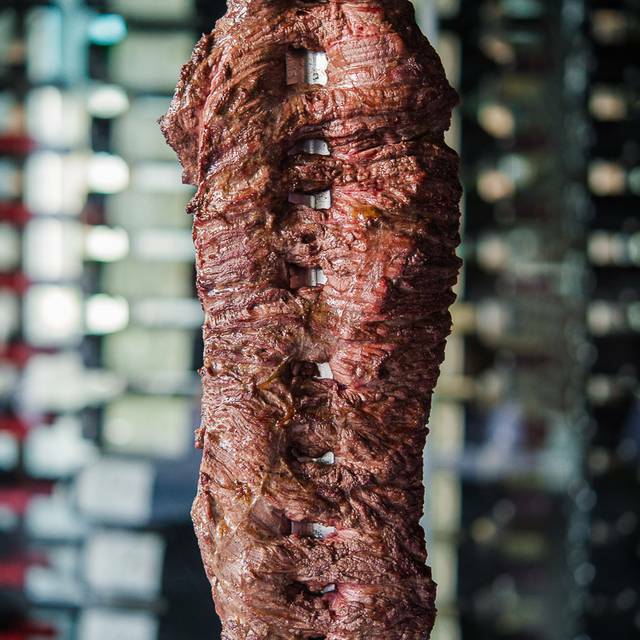 Our authentic team of Gaucho Chefs will prepare the Southern Brazilian traditional "Churrasco" recipes on a daily basis for you. 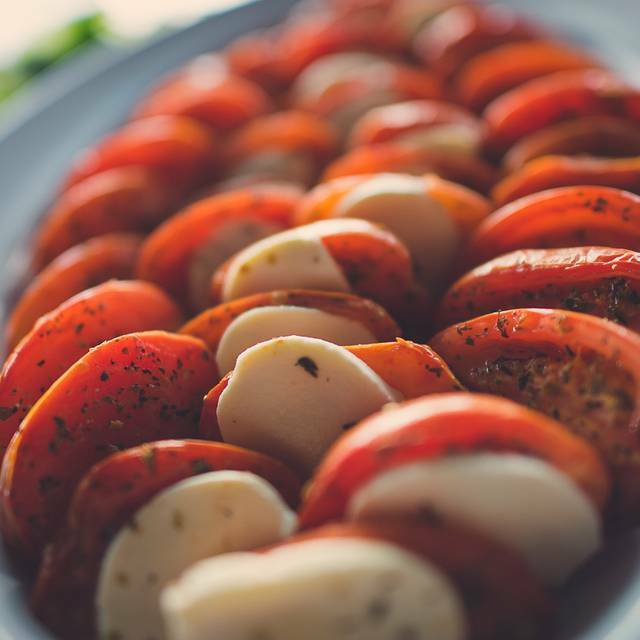 Our traditional cooking methods, the freshest of ingredients and stylish yet authentic presentation promise a unique gourmet experience. Pampa is the perfect place for your business meetings, family gatherings and special celebrations. 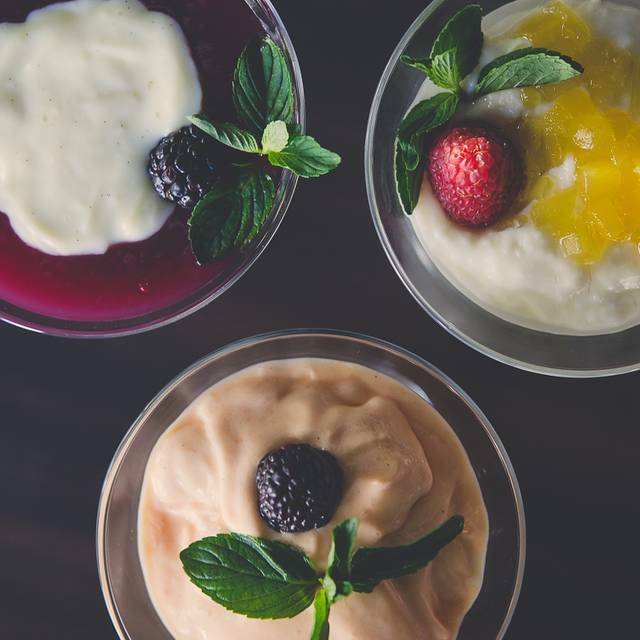 Indulge in our extensive wine list, feature drinks and exquisite desserts. 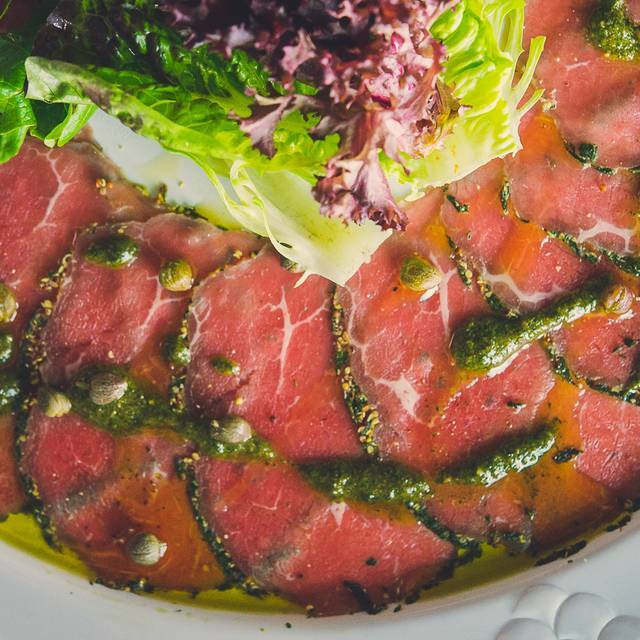 Pampa will provide you an unique experience, truly authentic food and excellent service. Regular Brunch Menu. Mother's Day "Momosa" Drink Features. Pampa Welcomes all Moms with a Rose. Open extended hours! Saturday, May 11th and Sunday, May 12th - 10am to 2pm. Regular Brunch Menu. Father's Day Drink Features. Open extended hours! Saturday, June 15th and Sunday, June 16th - 10am to 2pm. Food was fantastic but pricier than expected. Wine is overpriced both by the glass and bottle. Service was great and the overall experience was pleasant. A very good place to eat. Food is very good and the decor is nice. We went for birthday celebrations and the staff was fantastic. The meats and salads were great. Tasty and with loads of varieties. I enjoyed myself very much as did my mother. Very good service. Attentive but not overbearing. Lots of selection and meat came around frequently. 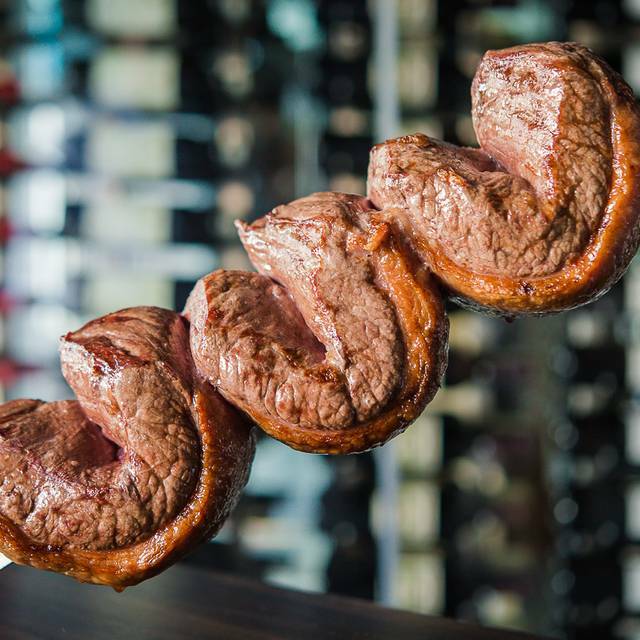 I was really looking forward to trying Pampa, as I had tried the Brazilian Steak house in Canmore. However, I was really disappointed. I made a reservation for 10 people and not one of us was happy about our dinner. Meal should be in the area of 30.00 per person, not 50.00. Buffet was smaller than what we thought. The buffet menu items were empty most of the time, they barely put out any bread. Very small selection for the hot buffet. Meat portions came out too fast, wine was over priced. I would not recommend this restaurant unless there was a price change.....definitely not worth the price. Our first visit to Pampa was absolutely amazing. We ended up being early for our reservation so we were accommodated at the bar. The bar tender was friendly and jovial, and made great drink recommendations. The general manager was also behind the bar and shared with us about the smoked bourbon drink that on his recommendation we had to try! It did not disappoint. He also recommended us an amazing Rose wine that accompanied our dinner. Our server Susan, was a ray of sunshine. She was prompt, attentive and read the energy of the room magnificently. She explained to us how the Pampa service worked, made us laugh, and brought us an amazing caramel cheesecake to top off our dinner. She was professional, courteous, but most of all FUN! 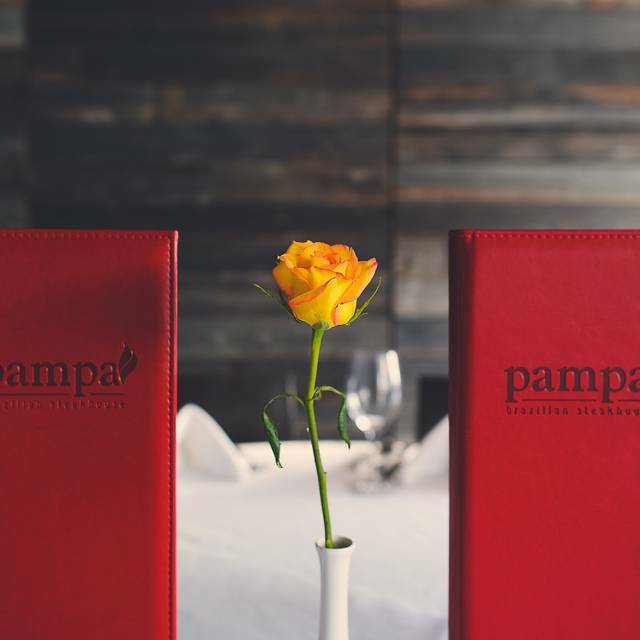 Between the staff, the food, the atmosphere, and the drinks at Pampa, we can confidently say it was the BEST dining experience we've ever had. Thank you Susan and Peter for such an incredible evening of dining and delight! We hope to see you again soon! It was a great place to eat with good service. But my girlfriend found a hair in her food and that was quite disgusting. The food was absolutely amazing! Make sure you pace yourself so you can try everything. Friendly staff. Can’t wait to go back. Everything - the food, the service, the atmosphere - was great! The quality seems to have gone down, with more prepared (ex. sausages) meats being served. We were also very surprised when they charged our kids as adults. At least they refunded the difference when I called in the next day to complain. The dinner remains good, but I am starting to seriously question the value. Always a very nice experience. The staff are very professional and service is excellent. The service is always amazing. The food is on point. Never a sub par experience. I think the only improvement I can think of is, to somehow show how you prefer beef, (well done, rare) just too add another level of excellence. And it's always a travesty when there's no cheddar bread puffs, they're one of my favorite things! The atmosphere was a bit intimidating since we don’t often go to high end restaurants but the experience was well worth it. The food was amazing and there was quite a lot. The service was good but it took some time to get our server. We needed to speak to some of the waiters and workers so we could get one. Understandably it was very busy so it’s hard to keep track of everything. Will definitely be coming back. Meat was over cooked and bland. Sides were just that a side thought no flavor put into them. Very difficult to attract our main servers attention. No offer of water. Too much pork. Nothing outstanding at the salad bar. I was super upset because i made a reservation for 830 but then when i got there was told they closed at 9 and i had 10 people with me. Loved it so much! Amazing food well worth the price. Loved the concept as they brought meat skewers to your table. Food was awesome. Would have liked some hot fried mushrooms instead if cold ones in the salad bar. Overall we enjoyed the experience and the food was good so will definitely return again. We went for lunch with a client and the food and service was excellent. The prices at lunch were reasonable we well, we will definitely be back. UPDATE: management reached out to me immediately after this review to follow up with my customer experience. WONDERFUL customer service which was handled promptly and professionally. This left no doubt in my mind that we would be soon returning to dine at Pampa. Was there with my partner for a celebratory dinner on March 17, 2019 for Edmonton Downtown Dining Week. The server was helpful in explaining how everything worked as it was my first time. The buffet and soup selection was impressive. The meat options were all good but the rump roast, garlic steak and Parmesan pork were especially impressive. The only low point was once my partner ordered a decafe coffee. It tasted burnt and old neither of us wanted to spoil our enjoyment of the meal with a ‘bad taste left in our mouths’. When the server asked if everything was okay with the coffee and we explained that it really tasted off and didn’t want a new one, I was surprised that the $5.00 drip coffee with two sips out of it was not taken off the bill. We both had glasses of wine, so our meal bill was substantial enough that removing the crummy coffee would not have hurt the bottom line. Other than that, great option for a special occasion. This is our first time to this location, as we've been to another Pampa location in the past. Our friends agreed that meat quality can change from different locations from time to time. The meat was much more tender during this visit than our other one. Service has always been great. Our server was Amy, she asked if there was any particular meats we wanted, and she ensured they came by. Everyone was very helpful as well. The regular price is a bit too expensive for us, especially since dessert isn't included and it's another $10 on top of it. We would consider coming back if there's a deal, such as Downtown Dining Week, which is why we visited. It was my first time there with my friend and we had a great time. The service was impressive. They were knowledgeable and very polite. Thw food was excellent and very well prepared. The restaurant also had a nice atmosphere. Definitely worth the money. Will recommend to all my friends and family. Great value for lunch during downtown dining week, 18$ for a buffet basically. A bit loud but the tasty food makes up for that, cheesy bread is A must try at the salad bar. I found Pampa to be way overpriced. The noise was so loud it was hard to carry a conversation with anyone. The meat was good what I did try. It was hard to get the servers to come around with the meat i did like. The steak and lamb was so rare and cold that it was basically cold. It was a nice place for a special occasion, but I will not go back. We tried the downtown dining option of 1 meat with salad bar. My friend selected pork and watched us clear our plates and reload before pork came around and we asked twice. She should've been allowed to have beef or chicken if the pork wasn't ready. Some beef I had was really undercooked and I like medium rare, and it was chewy at times. Other than that, the salad bar is mostly cold items that arent that great. Food taste just ok. Certain bakery items taste a bit dry. Nice environment and friendly service. Compared to precious years, the meat was lack of variety this year, but still tasty. Terrific experience. The place was recommended by others and we will also recommend Pampa for a great dining experience. 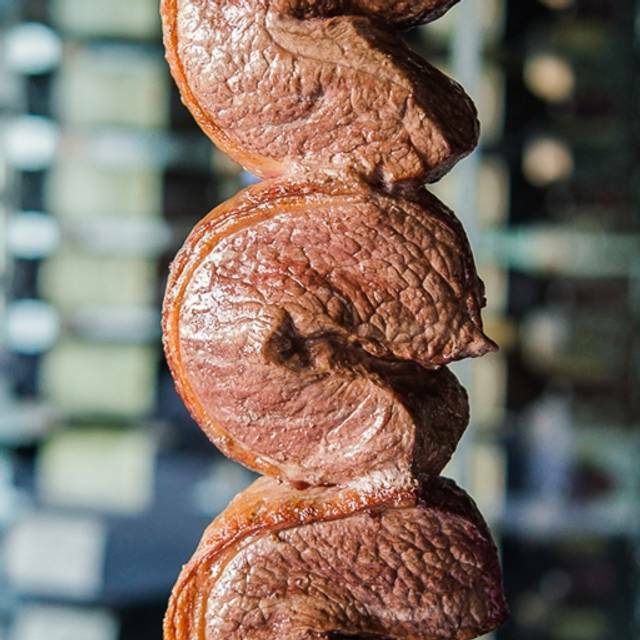 It’s always a good time at Pampas but we were disappointed that we only had the option of one choice of meats for downtown dining week. Last year we had three and it would have been nice to try all options. The food was great! GREAT presentation at the buffet, clean ,well stocked. Meats were hot , fresh and delicious! We went in for downtown dining week and decided to pay the extra to get the full menu experience. Our server forgot to give us the little black card to indicate that that was what we wanted so, by the time we figured it out and asked about the items we hadn't tried we were already so full. They did bring them out to us which was nice but some of our party passed because they had no more room to eat. So that was a little disappointing, but the meal itself was very tasty and the salad bar was beautiful- as was dessert. It was an experience for sure and I would recommend everyone try it at least once. I would suggest a menu card though so that diners are able to check off the different meats they have tried so that they know better which ones they like, dislike or would like to try again. The restaurant ii too noisy. The inital service was very slow. Server came by after 15 minutes to ask how things were and we had yet to see anyone with meat come by. Salad bar boring and either over cooked food or under ripe vegetables. Meat was good. Difficult to get a server once we were seated. I love the buffet. They had a lot to pick from. The service was great.